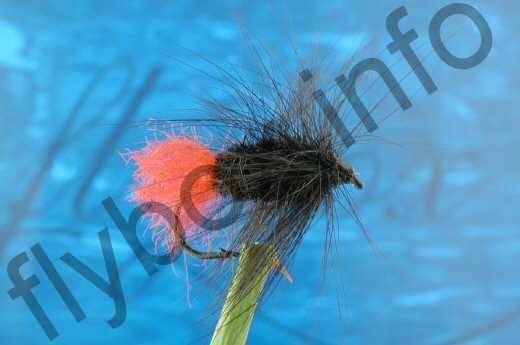 The Hairy Zulu Bomber is just one of the highly successful Hairy series of flies. The hair hackle creates a natural pulsating movement in the water. Rib : Oval silver tinsel and clear mono. Body, rear : 3 parts black dubbing. Body, front : 1 part red dubbing. Matuka Hackle : Black squirrel tail hair. Head Hackle : Black squirrel tail hair. Partridge D4 A, TMC 5263. Currently there are no comments about the Hairy Zulu Bomber fly pattern from other fly fishermen yet.